If you’ve moved or renovated your home, you’ve probably used — or may someday use — a self-storage facility. They’re popular because rent is relatively cheap and you can access your belongings when you need them. This is a lesson in contracts, insurance and what you should expect at a self-storage facility. Some 11 million households use storage units each year, according to the Self Storage Association. Nikki and Chris Dalton were among them. They were living with Chris’ parents in Berkeley Heights to save money for their first home. During that time, Nikki’s mom gave the couple a gently used upholstered couch to help furnish their eventual home. But they didn’t have room for the couch, originally purchased for $8,000 in 2011, so it was headed for storage. The couple rented a unit at Ultimate Self-Storage in Middlesex in November 2014 because it was in the general neighborhood where they were house hunting. Bills would be paid with an auto-debit system, but when the storage facility changed its payment system, the couple received an overdue notice. That was soon corrected, but the facility had placed a padlock on the storage door, which is regular procedure for units that are behind in rent. The Daltons didn’t visit the facility to check on the couch, so they didn’t know about the padlock. Time went on and the couple found a home in Warren — just in time for the arrival of their second child. 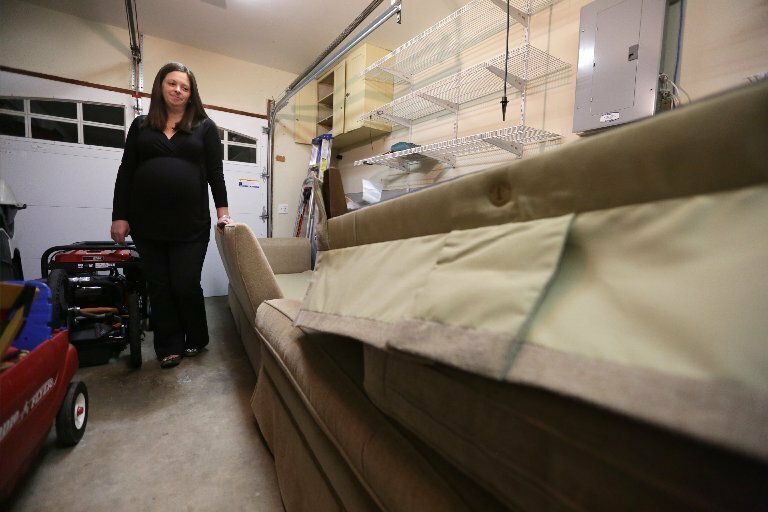 When the movers arrived to pick up the couch at 8 a.m. on Dec. 19, 2015, they couldn’t access the unit because of the padlock, Nikki Dalton said. The movers had to wait an hour for an employee to unlock the unit, she said, and the couple ended up having to pay for more moving time. But that wasn’t the biggest issue. “Upon opening up the unit, my husband, the movers and (the employee) were all witness to our couch being covered in mouse droppings,” Dalton said. The employee tried to contact the owner, Emil “Butch” Vogt, but he wasn’t available immediately. “My husband and the movers had no choice but to put the soiled couch in the moving truck and then placed it in our garage at our new home,” Dalton said. She called two cleaning companies. Dalton said she tried to call Vogt, the owner, but he wasn’t at the facility, so the employee gave Dalton his personal cellphone number. Dalton left a message. While Vogt eventually called Dalton back, she said he criticized her for putting an $8,000 couch in a storage unit. Dalton asked their attorney from the real estate closing to write a letter to Vogt, asking for compensation. Vogt didn’t respond, she said, so she contacted Bamboozled in late January. After we started looking at the case, the Daltons’ lawyer received a letter from the insurance adjuster for Ultimate, saying the insurer was looking into the claim. The Daltons didn’t know any claim was filed, so they asked Bamboozled to hold off until they heard more. They finally did on March 4, with a letter that denied the claim, quoting the contract. Scott Packwood said his belongings were damaged by water that got into his rented unit at Public Storage. The Daltons took issue with the denial and other parts of the letter, which referred to the couch as new. “The whole bit about the couch being a new purchase is false, we never claimed that, or did the lawyer,” Dalton said. “They also claim that no other belongings of ours were damaged due to rodents, and that is because the couch is the only item we had in the unit. “And, the insurance letter said, there was no proof of the couch’s condition before it went into storage. Manager Michael Thomas of Palmieri Movers in Piscataway corroborated the Daltons’ claims. 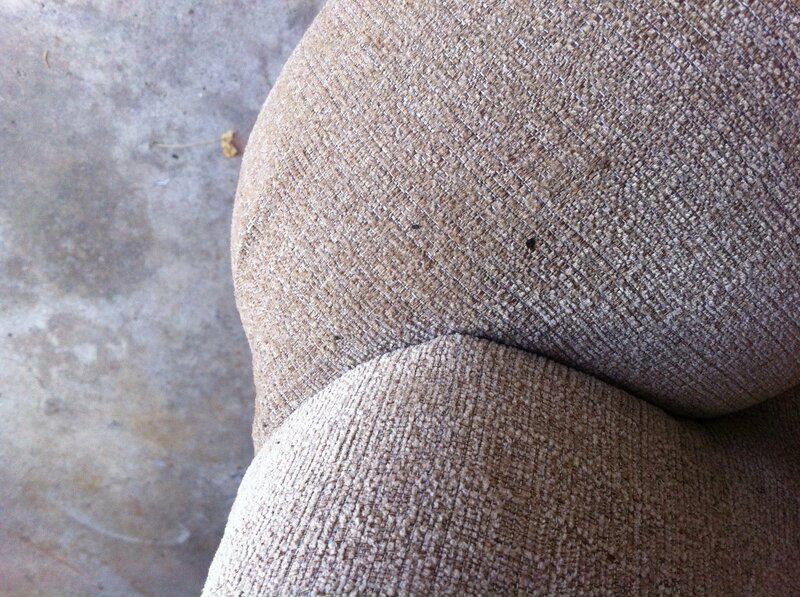 He said he found more feces and stains on the couch and between the cushions. “It looked as if the animal/rodent or multiple ones may have nested there,” Thomas said. While the Daltons asked the insurance company to take another look, we reached out Ultimate’s owner. Vogt said he’s never received a complaint and exterminators treat the facility monthly. “When a unit is empty, we clean them, we spray, we put in the mouse poison crystals in there,” he said. No one enters a unit once it’s rented, not for extermination purposes or otherwise, he said. “We sent it to the insurance company. It investigated and denied the claim,” he said. The Daltons’ request to the insurance company for a second review is ongoing. We can all learn from the Dalton’s experience. 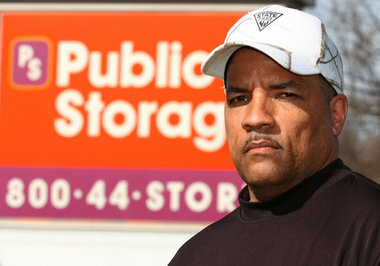 If you need a storage facility, examine the contract closely. If it says the facility isn’t responsible for damages and you don’t like the terms, move on to another facility. But know that most storage units offer very little or no coverage for your belongings. Rather than cover your stuff, policies typically cover the facility’s structures. You might be better off using Grandma’s basement. If the facility offers coverage, get the details in writing. Contact the insurance company to see what kinds of claims are covered. No matter what’s covered by the contract or the facility’s insurance, consider buying extra coverage if it’s offered by the company as a supplement. If you go this route, make sure you understand the coverage, and be sure to create photo or video records of all the items that will be in storage. And before you buy, talk to your own renter’s or homeowner’s insurance company to see if stored items will be covered. Consider a unit that offers climate and/or humidity control. These promise to keep the temperature and humidity between certain levels, which can prevent damage to certain kinds of items. These will cost more, but you’ll have more of a guarantee.